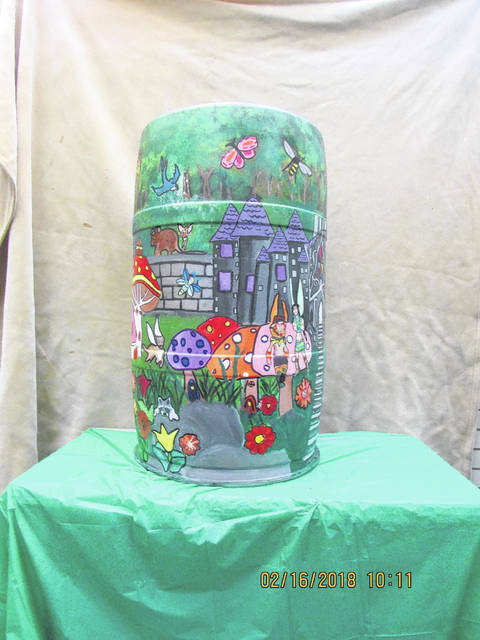 FINDLAY — Winners were announced in the Blanchard River Watershed Partnership rain barrel decorating contest. 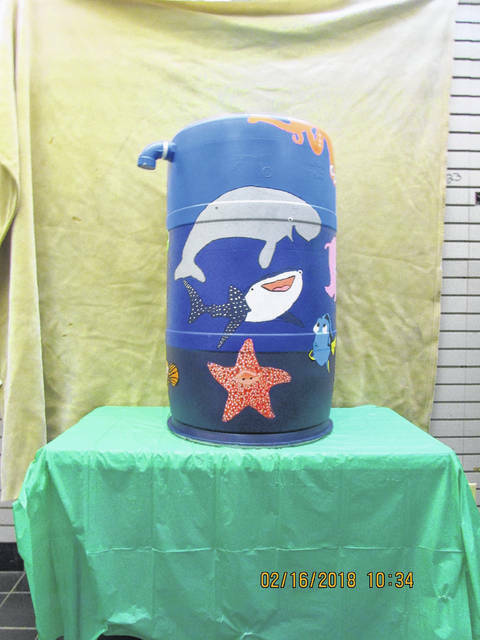 Eight schools entered with 23 decorated rain barrels. 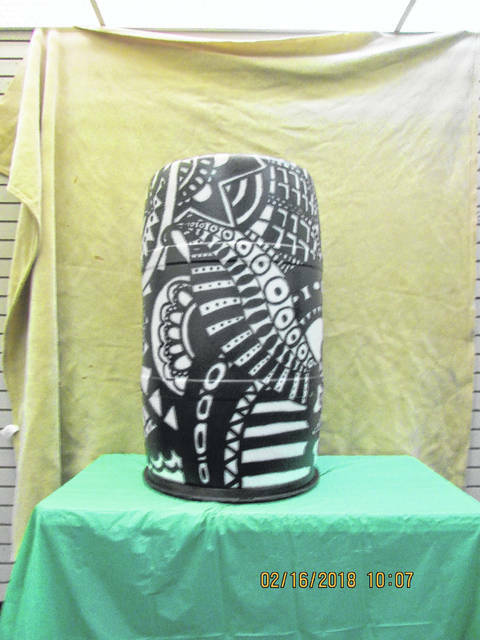 The rain barrels were on display at the Findlay Village Mall during the car show on Feb. 16 through 18th. Cash in the amount of $825 was paid to the schools in the form of prize money. Garnering People’s Choice Award was Riverdale High School. In the general theme category, first place was Arlington High School; second place was Riverdale High School; third place was Miller High School; fourth place was Columbus Grove High School and fifth place went to Hardin Northern High School. In the watershed theme category, first place went to Columbus Grove High School; second place Hardin Northern High School; third place Miller City High School; fourth place Leipsic High School and fifth place went to Hardin Northern High School. In the agriculture theme category first and second place went to Liberty Benton High School; third place went to Riverdale High School. 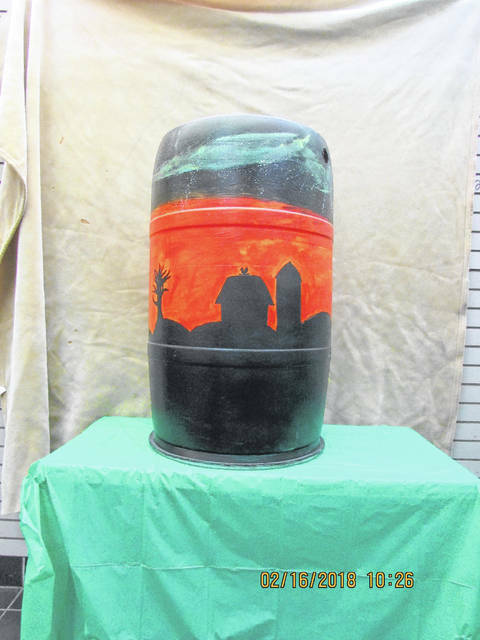 To view the rain barrels, look under the Gallery Tab at the following web site, www.blanchardriver.org. Several of the barrels are available to be purchased by the public for $30 each. Contact Phil Martin at 419-422-6487 if interested.